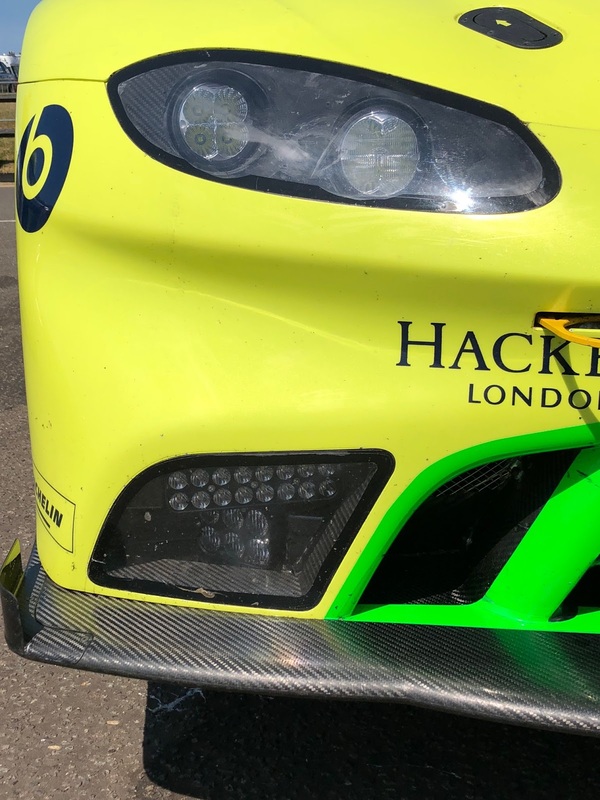 With additional lighting like these LED's on the front, this can only mean one thing - racing into the night time and that means Le Mans! 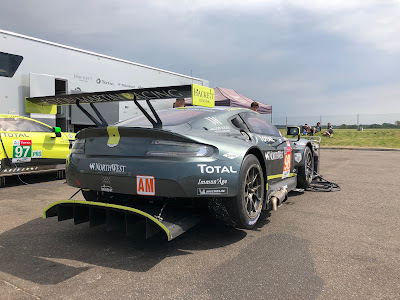 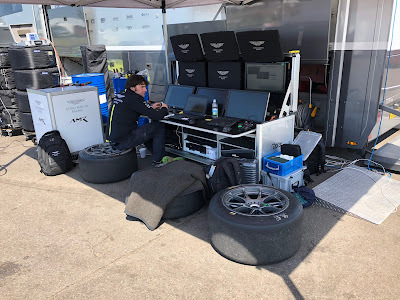 Having seen that Aston Martin Racing had popped down to their local airstrip earlier in the week to systems check their three V8 Vantage GTE's, that in turn turned into a more comprehensive last minute test at Snetterton yesterday for both the #97 GTE Pro car and #98 GTE Am car. 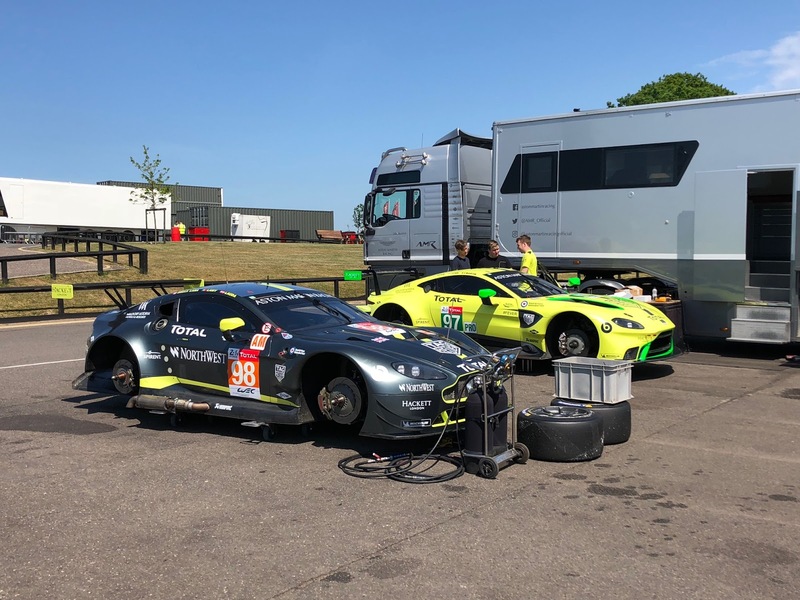 With drivers Alex Lynn and Ross Gunn enjoying the (then) Norfolk sunshine we understand that both cars ran simple test criteria ahead of the two cars being shipped down to Le Mans this weekend in time for the Le Mans 24Hour Test Day next weekend. Joining a convoy of similar silver and grey trucks from the Prodrive factory along the way, this transporter was due to ship out of Dover this afternoon before an eight hour drive down to La Sarthe, arriving at the circuit sometime on Saturday in time to help build the team's garage facility and get the cars through scruntineering ahead of next Sunday's test. 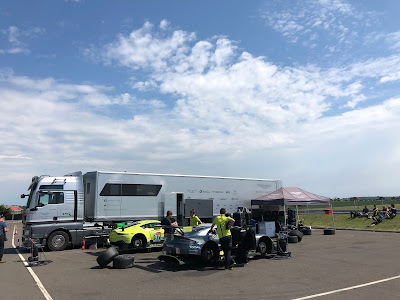 Soon after these photos were taken the heavens opened with some quite torrential rain so it isn't known if they actually went out onto track again after lunch!